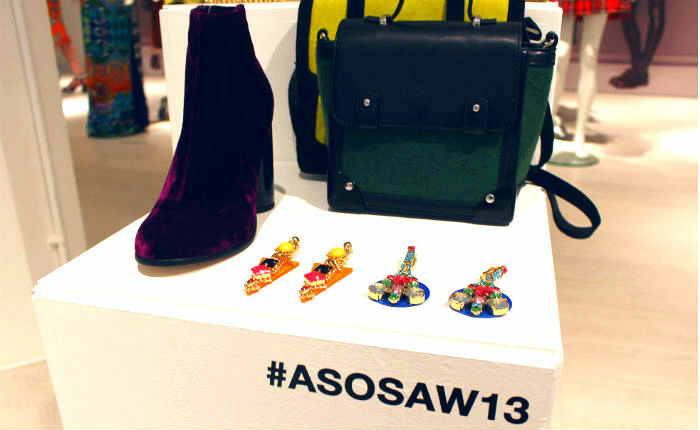 As usual ASOS have excelled when it comes to their accessories offering for AW13. 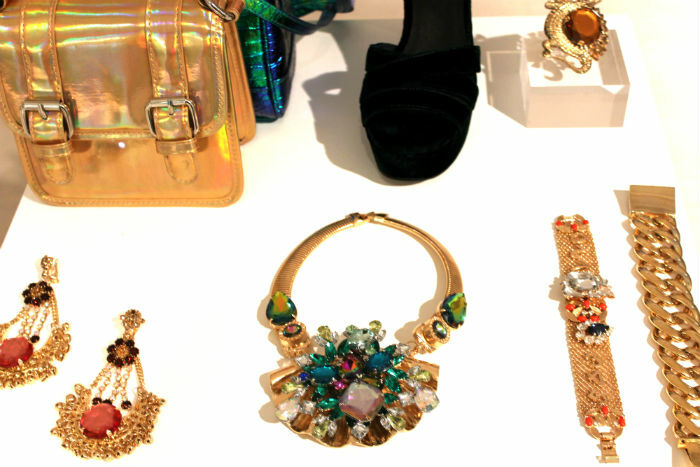 Jewels have been sized-up for fall, with chunky door-knocker earrings catching my magpie eye. 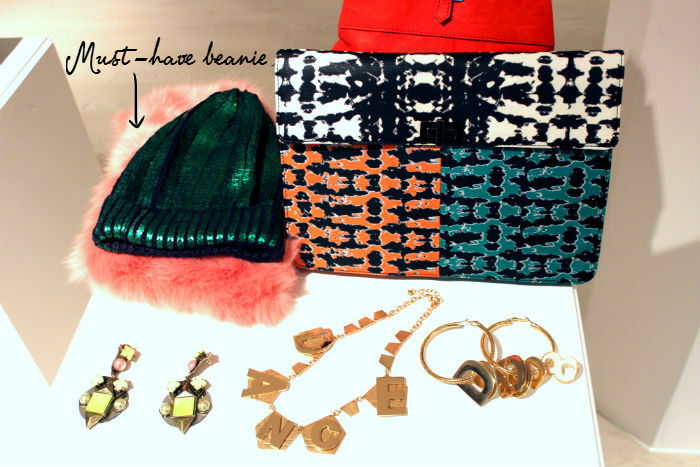 The footwear collection was also looking fabulous and the metallic green beanie hat is top of my AW13 wishlist; surely the high street hit of the season? 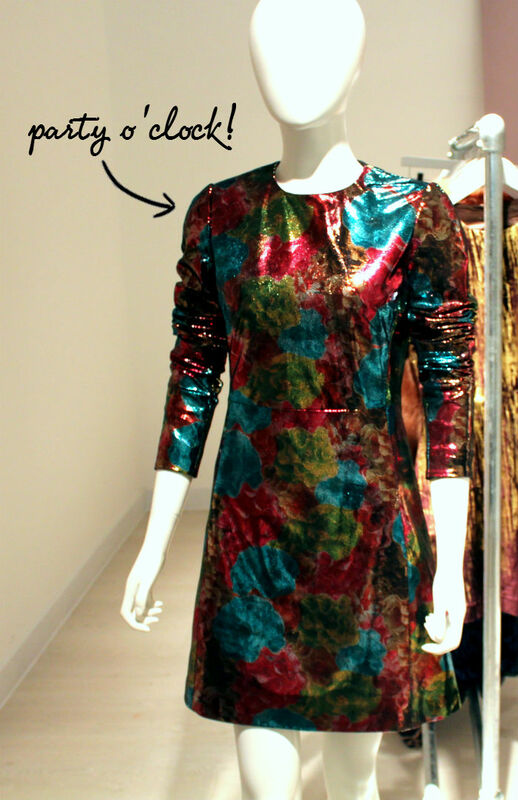 The stylish frock below was a knock-out style - the a-line shape with 3/4 sleeves references 1960s cuts, whilst the lame finish and jewel-tone floral print scream 'party season'! 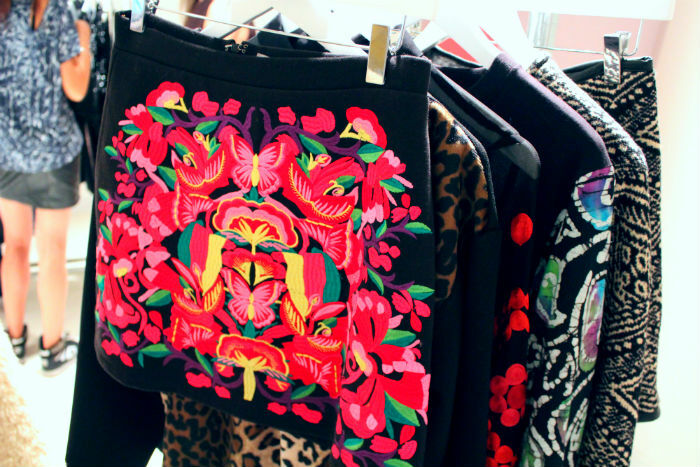 My favourite pieces of the press day came courtesy of the ASOS Africa collection. Combining some of LFF's favourite things: grey marl, leopard print and plaid in one piece is a strike of genius and will work nicely with the AW13 punk trend. 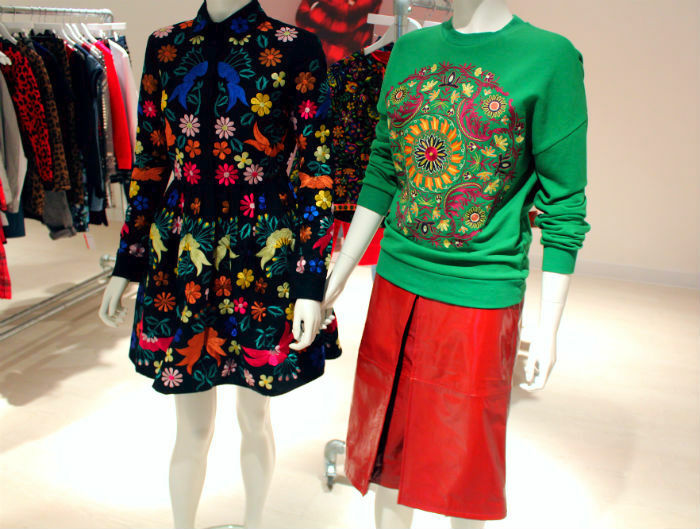 I'll be investing in several pieces, starting with the print mash-up sweater dress. Beautiful Bohemian embroideries decorated skirts and dresses, bringing a Cossack spirit to the collection. The below embroidered mini was a stand-out piece that will work for so many occasions come AW. 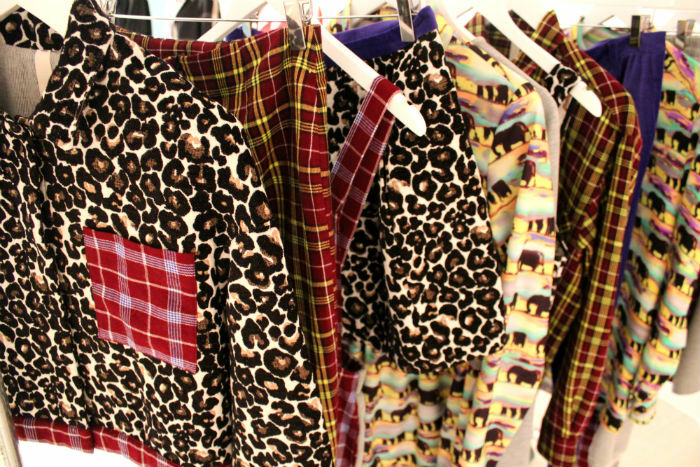 I'll be virtually heading to ASOS next season for prints, outerwear and accessories. Will you be shopping from the collection next season? 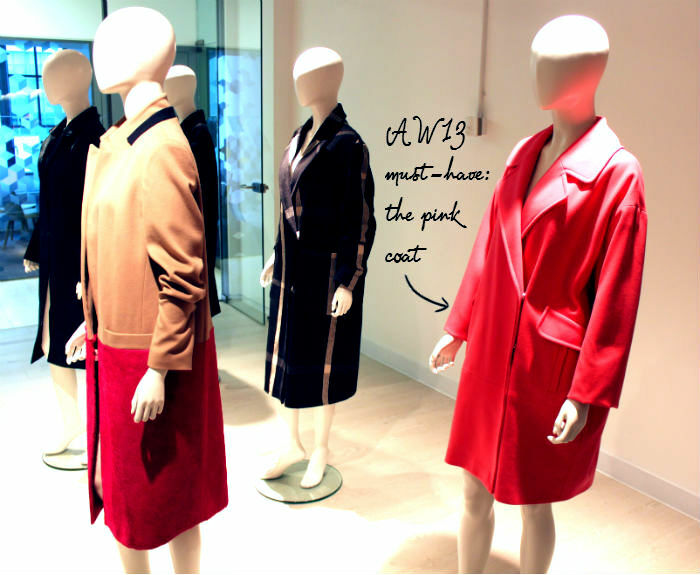 These pieces are amazing - just wish I had the money to put them in my wardrobe...great low down of the event!